What is the sound of one Monroe clapping? One of the brightest pop hits to come out of San Diego, “What Do All the People Know” by the Monroes landed the group on network TV and countless turntables. The group was founded by local bassist Bob Monroe with Lansing, Michigan-born keyboardist Eric Denton. Next to join was Rusty Jones, who had several songs on KGB FM’s Homegrown albums that he’d recorded at Denton's Accusound recording studio, on 42nd and El Cajon. Then came the drummer from Denton's band Peter Rabitt, Jonnie Gilstrap, and finally singer Jesus Ortiz, aka Tony Monroe joined. Bob Monroe wrote most of the songs. Signed to Alfa Records, the band entered Chateau Studios with one-time Doors producer Bruce Botnick and Stones engineer Alex Vertikoff. 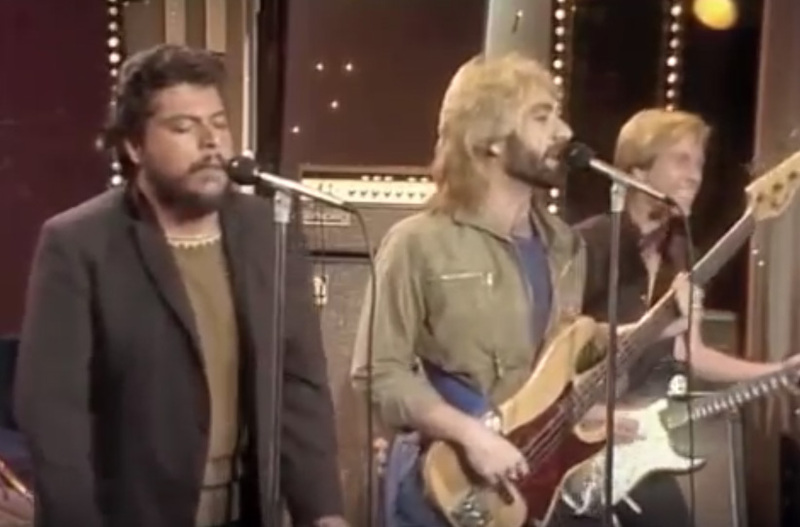 “What Do All the People Know” came out late 1981 and garnered immediate, and constant, airplay. In San Diego, it was inescapable. Within weeks, they were appearing on the Merv Griffin Show, as well as opening for Greg Kihn, the Motels, Rick Springfield, Toto, and others. They were invited to record a song for a Yoko Ono tribute album, got listed in Billboard as a “Top Album Pick” and, locally, landed a tune called “Stones against the Rain” on 91X’s Sand-Aid album (a benefit for African famine relief). Eric Denton told the Reader several years ago that “As the band grew and grew and grew, so did the egos. When Bob was being interviewed through the years, it turned from us starting a band to Bob Monroe hand-picking his group. But, anyhow, at the time I didn’t care because I just wanted to be part of a great band.” Then, their label ended up selling the Monroes’ contract to CBS, and thus began around two years of basically nothing. As more time went by with no new record, the band’s prospects looked bleak. They were even sued (unsuccessfully) over their name by another Monroes, temporarily forcing them to adopt the moniker “Man to Man.” The group badly wanted out of their CBS deal so they could move to another label. Rusty Jones was the first member to officially quit. Gilstrap was next to exit, though various versions of the Monroes still played out. The band finally dissolved completely around 1988. Denton went on to run Music Power and Guitar Trader, as well as launching guitartrader.com. In the early 2000s, singer Jesus “Tony” Ortiz turned up in North County, performing with old Monroes mate Rusty Jones. The Oceanside native (though he grew up in Escondido) had been living in Minneapolis for around 20 years, working as a chef and then in industrial production. Facing his second divorce, he moved into his sister’s house in Ramona. The duo spent some time performing around the area at places like Delicias in Rancho Santa Fe, as well as writing new songs. In November 2010, Ortiz released a solo album, Someday. 2013 saw the release of The Monroes: Official Band From the '80s, containing an alternate version of "What Do All the People Know" re-recorded with an undisclosed lineup, presumably due to rights issues regarding the original recording. Bob Monroe and Tony Ortiz performed a reunion set as the Monroes in February 2014, augmented by Pink Floyd Experience mainman Tom Quinn. "I was lucky enough last night to get a last minute invitation to play with the great San Diego legends," Quinn posted on Facebook. "It's great to hear Bob Monroe and Tony Ortiz sing like that again. Honored." Summer 2014 found Monroe and Ortiz teaming up again to promote the iTunes debut of music by the Monroes, along with the launch of the band's first official website. 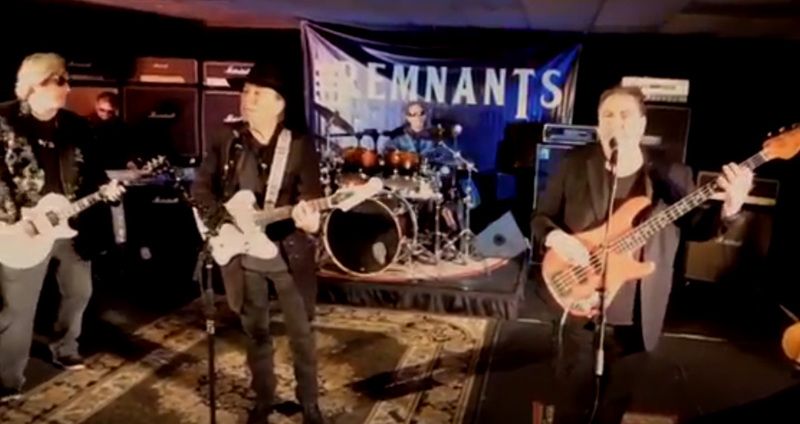 In 2017, Bob Monroe announced a new band called the Remnants, featuring the brother of original guitarist Rusty Jones, Ronny Jones (whose early band Mac Meda featured two future Ratt members), as well as Barry Scott (Coyote Problem, Copenhagen, States), Bobby Sale (Rockola), and Dave Pomeranz. “We perform songs written by Barry, Ronny, and myself, including of course 'What Do All The People Know,'” said Monroe earlier this year. “We played one private event and received a fantastic response. We are also recording now have two tunes completed and posted on Youtube.” A promo Remnants video appeared online in January. This was followed by the announcement that the same lineup from the Remnants would henceforth be calling themselves the Monroes, although the Remnants are never mentioned by name. Bob Monroe is the only holdover from the original recording of “What Do All the People Know” and the new members are presented as if they were recruited specifically for Monroes, with no hint that they've already been performing and recording (and posting to YouTube) as the Remnants. A few hours later, a new track called “Welcome to the Show” was posted to YouTube. Kicking off with a Monroes-esque keyboard riff, it quickly bounces into a groove more akin to 1980s era the Who than the more new wave-inclined Monroes tended to be, with far more muscular vocals and sharper, more mannered rock guitar than was heard on their vintage records. Also worth noting is that “Welcome to the Show” had already been posted to YouTube on April 10, but as a Remnants song, with no mention of the Monroes. Another new Monroes song is available on SoundCloud, “I Could Sing,” which sounds for all the world like the Hollies as covered by XTC. Which is pretty cool, especially the snaky guitar solo about two minutes in, but one would be hard pressed to guess it as a Monroes tune, especially the organ run near the end that sounds a lot more Al Kooper than Eric Denton.